Is It True That It’s Healthier to Deep Fry In Olive Oil? False. Every oil has a temperature at which it begins to break down. This temperature, known as the smoke point, is lower for olive oil than for other types of oil used from frying. 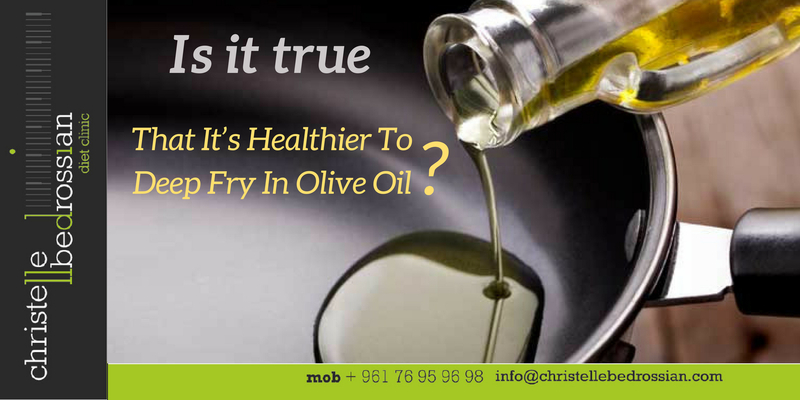 Extra Virgin olive oil has a smoke point of only 160°C, making it unsuitable for deep frying, while that for Sunflower oil is 230°C Deep frying is never healthy! (Next Entry) Is It True That Older People Need Less Calories?